We offer Medicare supplement insurance in Illinois direct from many affordable and highly rated providers. Using our independent agency, you can compare the lowest rates from several providers online and hassle-free. You can compare the direct rates from Aetna, American Continental, Anthem Blue Cross Blue Shield, Bankers Fidelity, CSI, Cigna, Combined, Equitable, GTL, Heartland, Humana, Liberty Bankers, Medico, Mutual of Omaha, Renaissance, Sentinel, Shenandoah Life United American, United Healthcare AARP, Western United Life and many others. 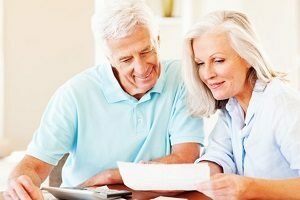 Need Help Comparing Medicare Supplement Rates? If you are new to Medicare at age 65 or due to disability, retiring and losing group coverage or shopping for better rates on your current plan – we can help. We also provide our clients with insight as to which providers have had stable renewal rates and lower yearly increases. In Illinois, Supplement Plans F, G and N are most popular. Plan F fills in all gaps in Medicare Parts A and B and is very affordable with several carriers. Plan G is also popular as it covers all gaps except for the yearly Part B deductible ($185 for 2019). Out of pocket exposure is small with Plan G and in many cases, the premium savings can more than make up for the deductible. And with Plan F no longer for sale to new Medicare beneficiaries starting in 2020, Plan G may have more stable rate increases. Plan N is one step below Plan G. It has office ($20) and ER ($50) copays along with the $183 Part B deductible that must be covered by the insured. It’s the only supplement with copays. Plan N does not cover Part B Excess Charges either, but those are very rarely encountered. When they are encountered, they are a usually a very small amount. Plan N is the least expensive MEdicare supplement that still offers comprehensive coverage. It can be found for under $100 a month at age 65. Additionally, several insurance companies offer High Deductible Plan F. High deductible Plan F is popular as it’s the least expensive supplement available. HD Plan F has a $2,300 deductible to satisfy in 2019, but monthly premiums are near $35 in some parts of Illinois. United American, Bankers Fidelity and Cigna have some of the best rates for this Medigap policy. You can view a Medicare Supplement benefits chart here to see the ten different Medigap policies and what they cover. Plan F was the most popular for a long period of time with nearly a nearly 40% purchase rate, but Plans G and N are quickly gaining ground due to the upcoming changes in 2020. Most of our clients are shopping for low rates now and price stability later – not just the plan that has the most enrollment. We can help you understand your best options for longevity. Medicare provides a six month open enrollment window when you turn age 65. You cannot be denied insurance coverage during this time and you can enroll in any plan of your choice. There are no health questions to answer, no waiting periods for preexisting conditions, and no medical underwriting concerns. Other guarantee issue or qualifying events can include loss of qualifying employer coverage, leaving a Medicare Advantage plan within one year, or moving to a new service area – from one state to another. In fact, many people who have group insurance will defer Medicare Part B beyond age 65 and wait to enroll until they retire and lose their coverage. You just need to make sure your group plan has more than 20 members for this strategy to work. You also want to be careful about electing COBRA. Even if you take COBRA, the government still requires that your enroll in Medicare Part B. And at that point, it can be more affordable to purchase a supplement anyway. Once you enroll in Medicare Part B, that is the time to take action. You have 3 months before, the month of, and 3 months after to choose supplement insurance and a Part D drug plan. We can help you understand all of your options and the timelines that coincide. Half of the battle is knowing what to do when so that you stay compliant with the rules. In Illinois, there are nearly 700,000 consumers enrolled in Medicare supplement plans and over 1 million people over the age of 65. Approximately 18% of those on Medicare are enrolled in Medicare Advantage plans with the rest receiving coverage from other programs. There is a lot of competition in this market, so it’s best to shop around. Rates can vary widely between companies, so it’s best to compare quotes (and renewal history) from several providers. If you miss your open enrollment window, underwriting may be required and coverage can be denied, but you don’t have to wait until age 65 to take action. Once you qualify for disability, you need to find coverage at that time. Insurance companies are allowed to charge higher rates for Medicare supplement insurance in Illinois when you are under age 65. A Medicare Advantage can be a good alternative if supplemental rates are unaffordable. We help with Advantage plans as well and can explain the differences between the two. We serve the entire state of Illinois, including: Danville, Decatur, Chicago, Springfield, and all places in between. We will walk you through the basics of Medicare, offer comparisons and history and provide direct enrollment in the Medicare insurance plan(s) that best fit your needs and budget. There are no additional fees to use our services and, by rule, we offer all plans direct – at no additional cost. We are a one-stop shop for education and enrollment.